← Can digital display advertising have a positive ROI? Back in 2009 the concept of our assisting Chinese companies that wish to gain customers and brand awareness for their products in the United States marketplace sounded both interesting and possibly fruitful. Longtime readers of this blog may have noticed that I am not posting about our having worked with newer companies since we worked with Alibaba.com and a couple of other lesser known Chinese companies over the past three years. I have continued my intense study and following of the marketplace in China as well as the entrance of Chinese companies into the United States market. Needless to point out is that the activity that is inbound to China from U.S. and other western countries, is dramatically higher than Chinese companies entrance into the U.S. I attended an interesting session yesterday presented by the SUNY Manhattan Confucius Institute. The program was moderated by Michael Zakkour of Tompkins International and co-author of the book China’s Super Consumers: What 1 Billion Customers Want and How to Sell it to Them. The featured speaker was Frank Lavin former Undersecretary of International Trade and current CEO and founder of ExportNow.com. The program was great and interesting. But it was an answer to a question that I asked after the session ended that really opened my eyes. I asked Mr. Lavin’s associate Jonathan Dillon (in attendance) – Founder and CEO of ad2china – about whether or not he had any experience with or feeling on Chinese companies and helping them market their products in the US. He answered that his company tries to stay away from that entirely. To paraphrase, he felt that Chinese companies are too cheap to invest marketing dollars in the United States when there’s so much opportunity in China itself. While I had come to the same basic conclusion over the past year or so (having worked on this for about 5 years), it never occurred to me that the idea itself simply might not be a good one – now or possibly for a long time. So now what? I’ve developed great relationships with people, companies and partners in China. Are we ready to help U.S. based companies make inroads into the incredibly vibrant Chinese marketplace? 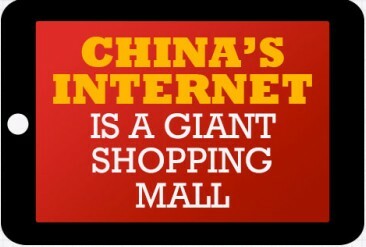 The marketplace that has 650 million Chinese online which represents only HALF the market? The answer is yes but only because it’s taken almost six years to develop the network to where I feel we truly have competent and trusted partners with boots on the ground in China. Eventually as Chinese companies mature in their marketing approaches within China, they will in the process become more aware of the marketing investment necessary to make inroads into new markets such as the United States. In the meantime I will do my own ‘pivot’ to Asia and help companies here in the United States explore their opportunities in the Middle Kingdom. It’s not as farfetched an idea as you might be thinking. Ask me about it. You might be surprised! This entry was posted in Business in China, Marketing in China and tagged ad2China, Chinese Superconsumers, Exportnow.com, Frank Lavin, How many Chinese online? Pivot to Asia, Jonathan Dillon, Marketing in China, Michael Zakkour, Thoughtful China. Bookmark the permalink.